Under which market condition do firms have excess capacity? Price Theory: An economic theory that contends that the price for any specific good/service is the relationship between the forces of supply and demand. Its is also known as Micro Economics. Hecne, the option D is correct. 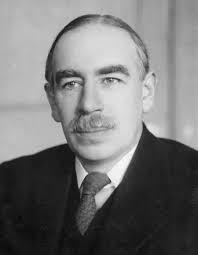 John Maynard Keynes was a British economist who practiced the mordern terms of 'Micro Economics' and 'Macro Economics' and economic policies of government. ‘Economics is what it ought to be’ - This statement refers to Normative economics. Normative economics is a part of economics that expresses value or establishing judgments about economic fairness or what the outcome of the economy or goals of public policy ought to be. Economists commonly prefer to distinguish normative economics 'what ought to be' from positive economics 'what is'. Hence, the opton A is correct. In terms of Producers' surplus is the amount that producers benefit by selling at a market price that is higher than the least that they would be willing to sell for. Similarly, Consumers' surplus is the monetary gain obtained by consumers because they are able to purchase a product for a price that is less than the highest price that they would be willing to pay. Hence, the option C is correct..